Upon testing the new Remedy, we were first made aware of Trek’s partnership with Wolftooth for compatibility with their new “B-Rad” system. In short, it’s a series of plates and adapters that allow you to mount additional bits to your bike and help you ditch the hydration pack. On the Remedy in particular, there are two sets of additional water bottle bosses running underneath the top tube. 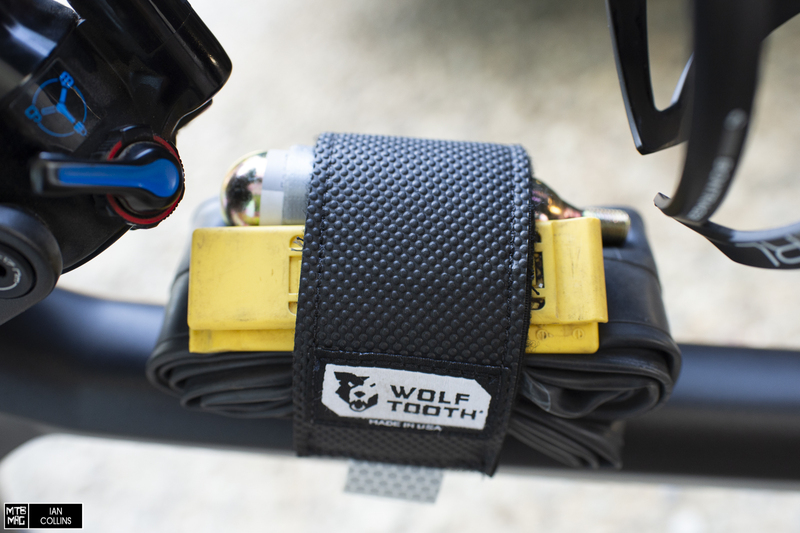 You couldn’t really mount an actual bottle there, but along with the right adapter plate and a strap from Wolftooth, you can securely harness a few essentials to your frame. 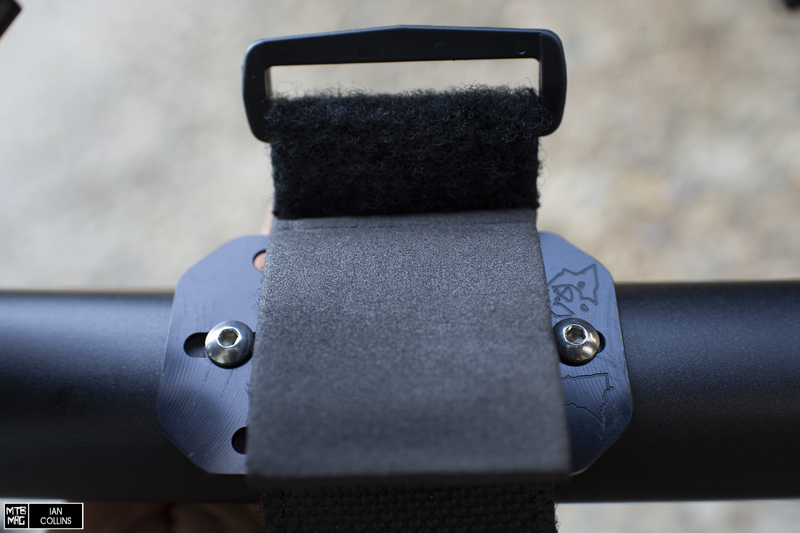 For the most part, we rode with the Medium Strap kit shown above. There are a host of other items in the B-Rad line such as an adapter for a double bottle as well as a gaggle of items that pertain more to bikepacking. 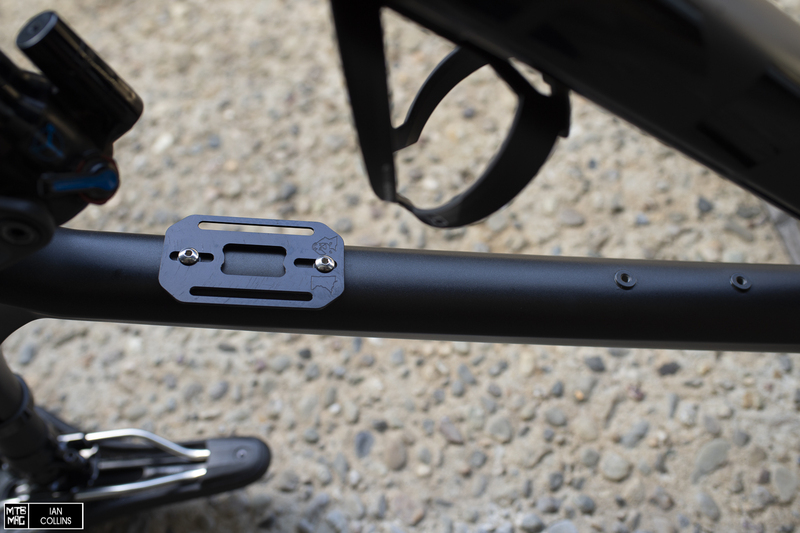 We also used the Mini Strap to secure a pump to our downtube for some rides, and found it suitable for storing an ultralight tube and a small C02, but the article mainly pertains to the Medium Strap kit. The install is straight forward. 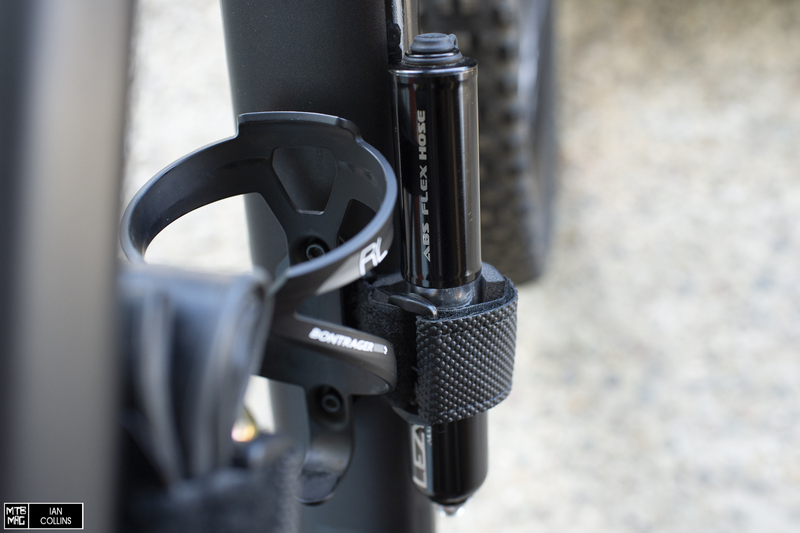 You simply bolt the machined and black anodized base plate to any waterbottle boss on the bike. 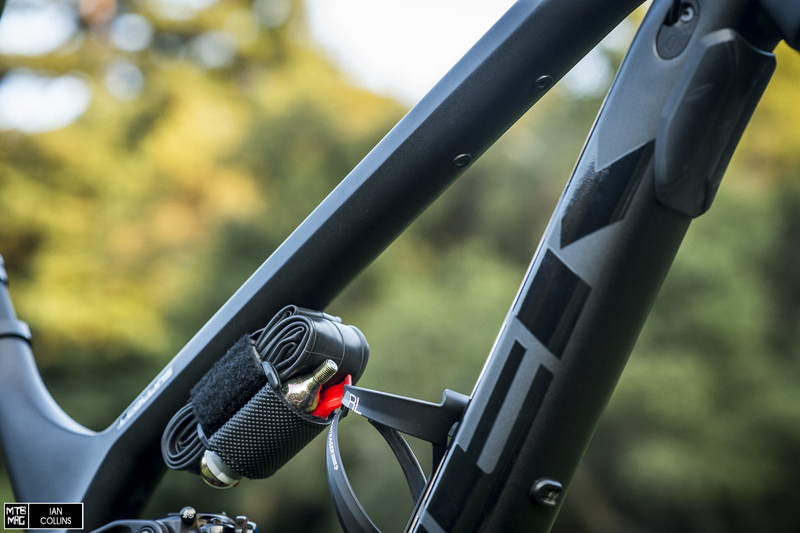 As of now, Trek is the only company that we know of who’s adapted additional bosses on full suspension bikes, with the intention of using this system. If you don’t have additional mounts, you could use the Mini Strap system with the plate mounted under your bottle cage, as shown above. You won’t be able to fit as many items, but it still works nicely. A strip of foam acts as a buffer between your items and the aluminum mounting plate. We actually found quite a few advantages to the Wolftooth system. First and foremost, it’s sturdy, so it doesn’t shift around as your bike bounces down the trail, and if you knock it with your knees, it doesn’t spin around. That brings us to a second point. Since it’s not strapping around your bike’s frame, your frame won’t get scratched and chaffed up, which is nice for preserving its aesthetics, and ultimately – its value. Lastly, while it was a little tricky threading the strap through the plate, once installed, it’s pretty easy to loosen, then remove items. When it’s time to re-install them, it’s very easy to harp on the strap since the mounting plate keeps everything so sturdy. We really liked the B-Rad system. It’s without question the quietest and most sturdy way to carry some essentials on your bike. Hopefully more bike manufacturers catch on and adapt their frames to the system in the future. We haven’t been able to find a single downside to this kit. It’s a better option than even the most well thought out straps such as the Backcountry Research Mutherload, plus it’s cleaner and quieter than a seat bag. If you can fit this on your bike, it’s worth a look.